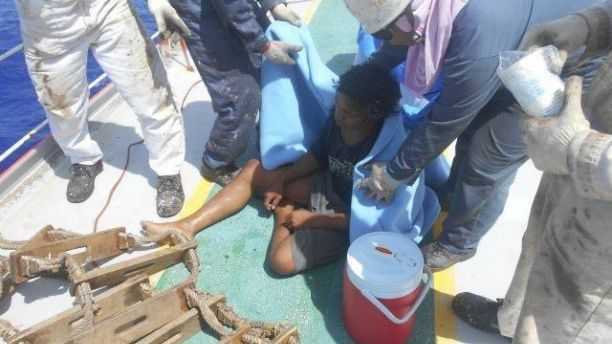 (Fox News) — An Indonesian teenager, who worked on a floating fish trap 80 miles off the country’s coast, survived 49 days adrift in the Pacific Ocean with only a Bible, limited rations and a small radio, reports said Monday. Strong winds during a July storm reportedly snapped the lines keeping Aldi Novel Adilang, a 19-year-old lamp keeper, moored in place. He was helpless and floated off without even a paddle. “Aldi said he had been scared and often cried when adrift. Every time he saw a large ship, he said he was hopeful, but more than 10 ships had passed him, none of them stopped,” Fajar Firdaus, a diplomat, said, according to reports.